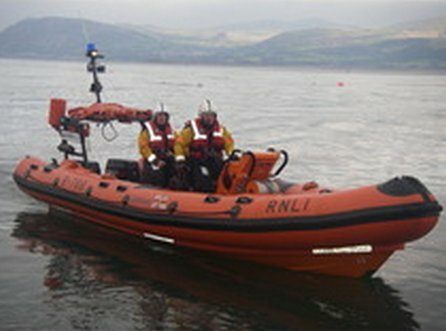 The Beaumaris inshore RNLI lifeboat was launched just before 10am this morning (30 June) after Holyhead Coastguard received news that a person was in the water under Bangor Pier. Arriving on scene, the man was seen clinging to one of the pier’s stanchion’s, up to his chest in water. 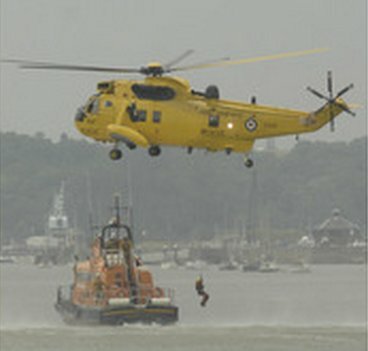 The RNLI took part in the first-ever national Armed Forces’ Day, held at Chatham Historic Dockyard, last Saturday 27 June. Armed Forces’ day is an opportunity for the general public to honour past and present service personnel from the army, navy and other forces. In previous years it was referred to as Veterans’ day but this year it was opened up to current service personnel. MOORESTOWN, N.J., June 30 /PRNewswire/ — The U.S. Air Force has awarded Lockheed Martin (NYSE: LMT) a $30 million contract to begin concept development for Space Fence, a system of land-based S-Band radars and supporting operations centers that will detect and report on objects and debris orbiting the Earth. Lockheed Martin was one of three industry teams to receive contracts. 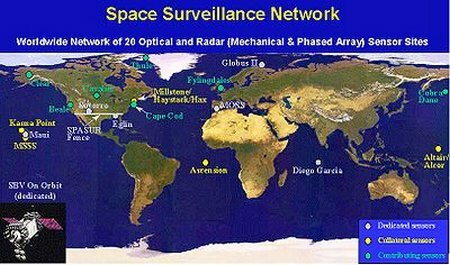 The Air Force Materiel Command’s Electronic Systems Center at Hanscom Air Force Base in Massachusetts leads the procurement for Space Fence, which is intended to significantly enhance space situational awareness as legacy systems in the Space Surveillance Network (SSN) are retired. From the left: James Collett, Director Commercial, Inmarsat – Casper Jensen, VP Martime Business Unit, Thrane & Thrane – Claus Borum, R&D Manager, Thrane & Thrane. 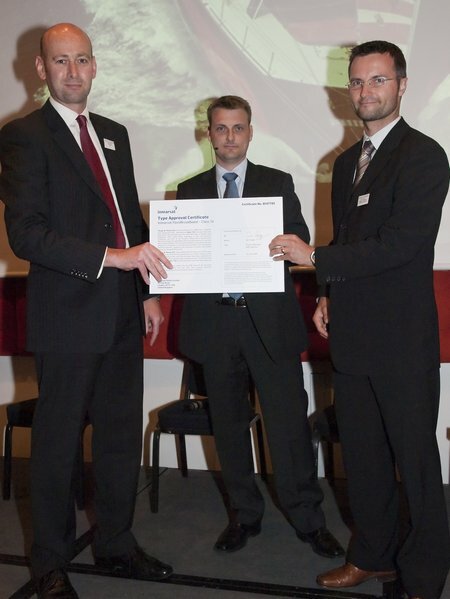 Inmarsat has formally presented the type approval certificate for SAILOR 150 FleetBroadband to Thrane & Thrane during the leading satcoms equipment manufacturer’s Global Partner Conference, held in Copenhagen 23rd – 25th June 2009. The type approval confirms SAILOR 150 FleetBroadband’s compatibility with official requirements and was received prior to the first worldwide customer shipment, which left Thrane & Thrane’s Copenhagen headquarters on 29th June 2009. SAILOR 150 FleetBroadband is the ideal solution for the next phase of Inmarsat’s FleetBroadband service, which is aimed at professional single user applications such as workboats or fishing vessels, in addition to recreational boats, both power and sail. It features the smallest and lightest FleetBroadband antenna to date and offers simple user-installation so smaller vessels with a requirement for global internet and voice can enter the broadband era with a true IP solution for the first time. Entries have now closed for this year’s Atlantic Rally for Cruisers (ARC), the 24th edition of this world-famous annual transatlantic rally that has defied the economic doom and gloom yet again. The Rally organisers, World Cruising Club, have now opened a waiting list after accepting 225 entries for the 2009 rally. There are 28 countries represented in this year’s event that starts on 22nd November in Las Palmas de Gran Canaria. As befits the largest transocean sailing event, every year the ARC brings together over 200 yachts from all over the world, and is without doubt the most popular way to cross the Atlantic. The destination is the Caribbean island of Saint Lucia, one of the most beautiful in the Lesser Antilles. The 2700 nautical mile passage on the NE tradewind route takes typically takes between 14 and 21 days and the fleet reaches its destination and the finish line in Rodney Bay. 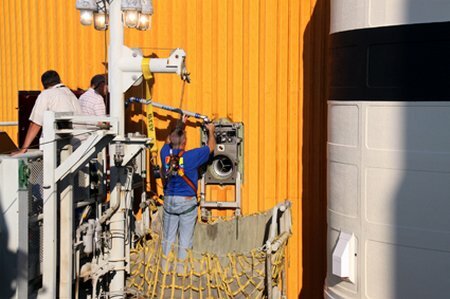 Technicians are putting the last touches on the Ground Umbilical Carrier Plate, or GUCP, in preparation for tomorrow’s leak test involving the full tanking of the external tank with super-cold liquid hydrogen and liquid oxygen. The tanking is slated to begin at 7 a.m. EDT Wednesday. Leak checks at an ambient temperature were completed Monday. The GUCP leaked on two prior launch attempts for the STS-127 mission when the cryogenic propellants were loaded into space shuttle Endeavour’s external tank. The Endeavour astronauts are completing administrative work today and will take T-38 training jet flights to El Paso, Texas. Also, technicians removed a stuck work light knob in space shuttle Atlantis that wedged between a window and dashboard during the STS-125mission. Technicians pressurized Atlantis before pulling the knob out, clearing the way for the window to be inspected. The International Sailing Federation (ISAF) is delighted to announce the 10 sailors who have been elected to the ISAF Athletes’ Commission. The Athletes’ Commission members each represent one of the 10 sailing events chosen for the 2012 London Olympic Games. They were elected by sailors in the Athletes’ Commission elections which concluded on Sunday 28 June 2009. The new Commission members will serve a four-year term until 2013 and will report directly to the ISAF Executive Committee. The new line up of the Commission represents a wide range of ages, experience, disciplines and nations. Between them, the members of the Athletes’ Commission have won five Olympic medals (three of them gold), five World Championship titles in the Olympic events and two Match Racing World Championship titles. Seven of the Commission members have been re-elected for a second term, whilst double ISAF Women’s Match Racing World Champion Claire Leroy, Beijing Olympic gold medallist in the Men’s 470, Malcolm Page and Swedish Laser sailor Rasmus Myrgren are new members. 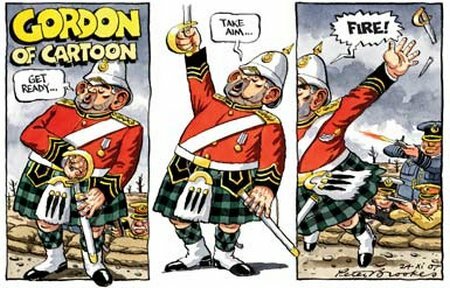 The Iraq Inquiry seemed like a great idea at the time – to be held in secret, to have no remit to apportion blame, no powers to force witnesses to attend and where evidence would not be given under oath. Then, like most things “Bottler” Brown touches, it all turned to dust…. Schat-Harding welcomes any initiative that improves safety at sea! 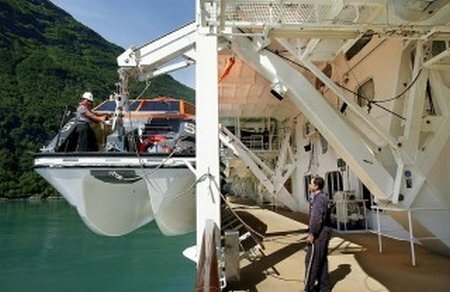 AP Moller-Maersk is not the only company to take a fresh look at the lifeboat-safety issue. Established lifeboat-equipment manufacturers have upgraded the on-load release hooks to the extent that they claim they are now safe. Schat-Harding chief executive Ove Roessland says the hook is still the way forward for lifeboat safety. Commenting on Maersk’s drop-in-ball design, he said: “Schat Harding welcomes any initiative that improves safety at sea, and the safety of lifeboats in particular.” “With respect to hooks, all the evidence is that properly designed on-load release hooks, when correctly maintained, are safe and fulfil the function they were designed for – to get seafarers and the boat safely away. C A Clase, the UK’s leading distributor of marine electronics, will use the PSP Southampton Boat Show to present the new KVH TracPhone FB150 to the UK public for the first time. With a diameter of 10.5″, the TracPhone FB150 is KVH’s most compact TracPhone system to date and has been specifically designed to provide smaller yachts from 40ft with a cost-effective FleetBroadband solution. 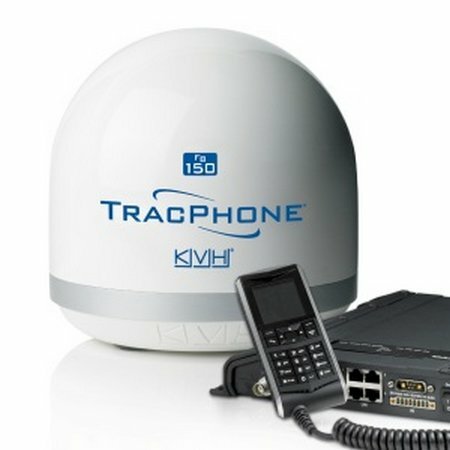 “The KVH TracPhone FB150 provides high-quality connections and as KVH’s most compact TracPhone system to date it is easier and cheaper for yacht owners to install. The system is also ideally suited for larger boats that require lower bandwidth and a more affordable solution,” comments Andrew Bush, Managing Director, C A Clase.